The biggest change to Google Images announced today is the coming addition of Lens for AI-powered exploration of images that appear in search queries. With a quick tap, you can find out more details about objects, tracking down information like where to buy them or even just what they are. You can further refine your results by "drawing" on an image to select more specific content. Lens isn't the only change coming to Google Images, though. Starting this week, when you view an individual image, you'll be able to see more context about it via captions included from the title of the site containing it. 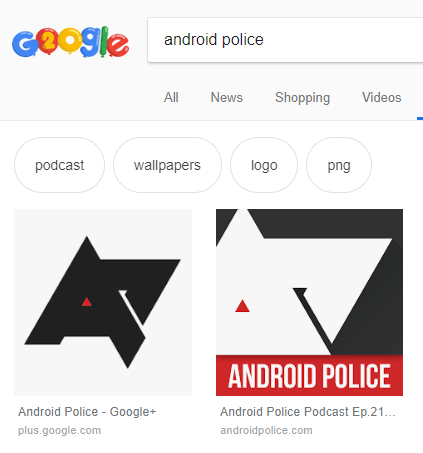 Those bubbly recommendations for alternative search terms already present on Mobile are also coming to Google Images on the desktop. Other behind the scenes changes to rankings in Google Images are also happening, with things like site topical relevance, fresher content, and "central" image placement on click-through all resulting in higher results. Site owners take note: Google's getting more strict about image ranking, so make sure it's easy to find photos on your page if you want them to surface higher in Google Images. Google's also taking more of an effort to highlight video content with a new "featured videos" card that will appear on some searches. Thanks to the magic of computer vision, Google is able to parse the content of videos to present purely relevant snippets in a useful way in search, connecting content to categories and topics. The new card, in essence, can answer questions with appropriate bits of video, or even just provide context. For example, when searching for "What to do in Zion national park," a range of video content selected to highlight the individual landmarks can be presented, quickly and easily giving you visual information that can help you resolve that question. Lastly, those AMP Stories Google Search began to push earlier this year are getting an automated overhaul. New, allegedly AI-constructed stories will be created and pushed to Search, starting with content about celebrities and athletes. This is just a small part of the changes Google is rolling out to Search in the coming weeks, including the previous "Discover" changes to the Feed. With it being both the Android and Google anniversary, I wouldn't be surprised if we heard announcements soon. The bubbly recommended search terms for Google Images seem to be rolling out for desktop users. In addition, today Google has augmented its previous announcements with its own "one more thing." On top of everything else, a new Creator and Credit metadata tags are being added to an Image credits section on relevant content in Google Images. Allegedly this starts today, but so far I haven't been able to see or trigger it yet. Photographers interested in enforcing their copyright should probably make sure to include the relevant IPTC metadata in images published online.